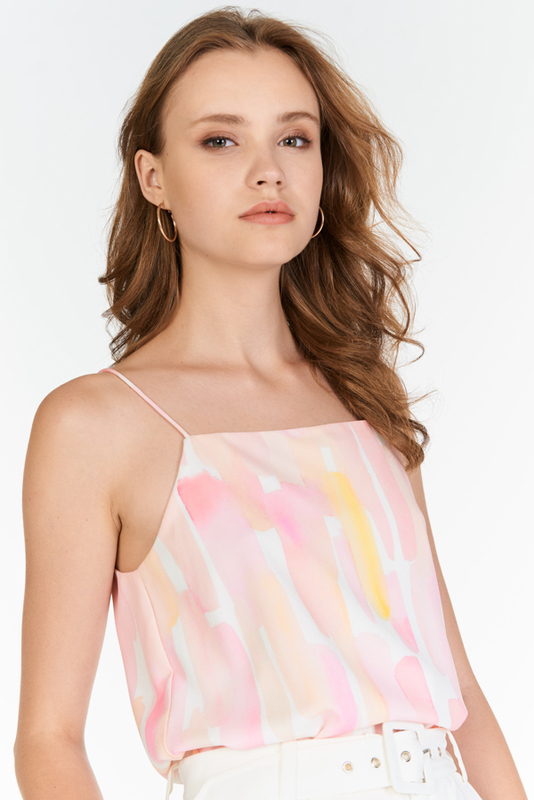 A collaboration between The Closet Lover and Pearlyn & Paper, Laudrie Watercolour Printed Two Way Top features watercolour brush strokes all over in warm hues of pink, yellow and tinge of orange, hand-drawn by Pearlyn (@pearlynkmin) from Pearlyn & Paper. Whimsical and feminine, the watercolour prints showcase the TCL girl. 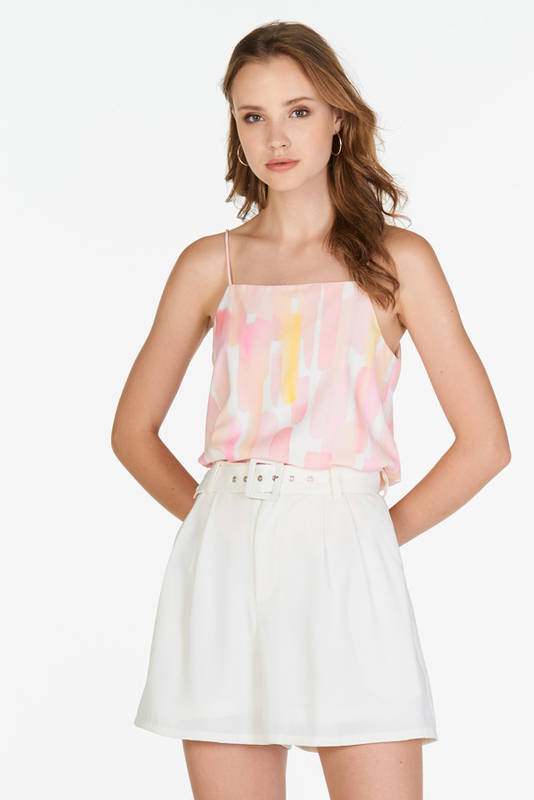 Laudrie Watercolour Printed Two Way Top is made of polyester blend, fully lined. Can be worn two ways, with a square v-neckline. Non sheer. *Due to cut of fabric, placement of prints will differ for every piece. Colour is truer to studio photos. 21.75" 21.75" 22.25" 22.75" 23.25"
ETA: 4-5 weeks after 20/6, earliest 21/7 onwards.